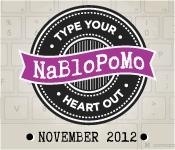 #NaBloPoMo Back to the Prompts! Monday, November 4, 2013 Who is your favourite character of all time? I’m a Sci Fi geek and Aliens was one of the first ever real Science Fiction movie I watched. I’m a feminist and Aliens was one of the first ever feminist movie I watched. It was awesome! Things explode, it’s jump-out-my-seat scary, it’s on another planet, there’s robots, and it’s not a guy in the lead role! There’s no hysterics, there’s no love scene, plus the other characters don’t treat her any differently than they would if the role was male. 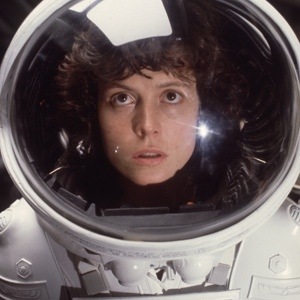 And I was introduced to the movie by a boy, (yes a teenage boy I fancied) and he didn’t think it was a girls film, there was a moment when he was describing the film to me where he said “oh Ripley is a girl,” it was a secondary thing for her to be female, it wasn’t the main function of her character, to a 13 year old Millie that was amazing and a little mind blowing. When I first saw it I loved how strong Ripley was, she carries a kid and attacks aliens as she going, she drives the powerloader & throws the queen alien out the air lock. That’s cool! Then I grew up (only a bit), I loved it even more, because Ripley was a strong person. There are times when you can see she’s scared, or really wishes she wasn’t on LV426 and had stayed home with Jonsey the Cat, but she gets on with it, there’s a job to do and she’s going to do it, because the line stops with her. Not because anyone else says so, she’s not a solider, or an expert, she’s just Ripley, and she’s not going to let this go any further. So my favorite character is Ellen Ripley. The First Lady of Sci Fi. ← #NaBloPoMo Doing it all over the place.